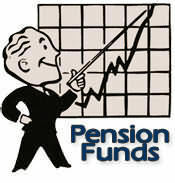 For year 2013, Employees Provident Fund declared 6.35 percent dividend, the highest since year 2000. For the same period, there are 6.53 million active EPF members with total combined savings of RM396.53 billion up RM36.36 from the same period in 2012. Total savings including inactive members stood at RM586.66 billion. For those who interested to know the savings profile for active EPF members as of year end 2013, kindly take a look at the following table. It shows the savings range, number on members and total savings for each range.